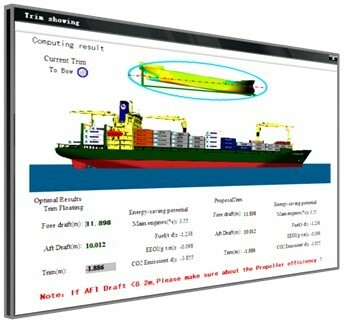 OTA（Optimal Trim Assistant）is an optimization software system which can be independently installed on any computer and facilitate green operation of ships . Its operation does not require installation of sensors or inductors or other hardware equipment on ships, nor does it require modification of hull structure and ship equipment. What it requires is only input of fuel information, bow and stern draft, navigation speed and other parameters. 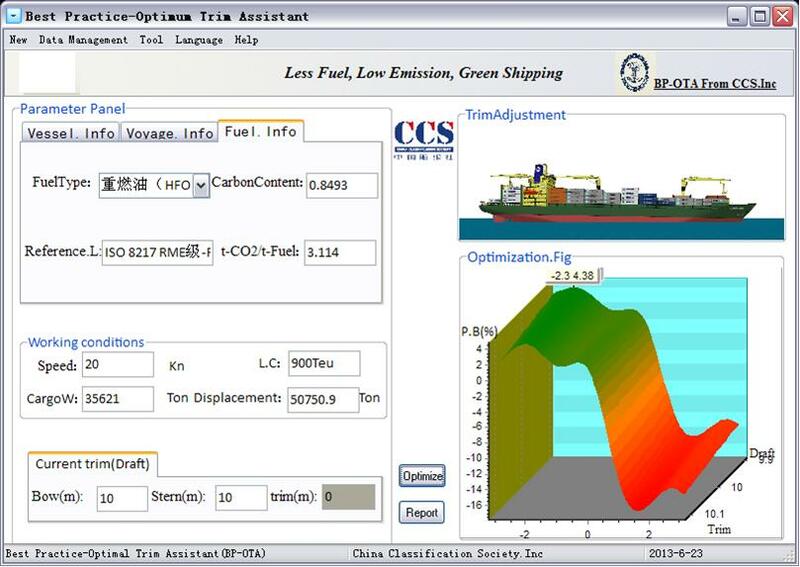 By one-key click, self-adaptive optimization algorithm can be processed and complete optimization calculation report can be produced, which includes: voyage information, fuel information, navigation condition, proposed optimal trim (bow and stern draft),estimate of corresponding energy-saving potential and ballast water forecast adjustment scheme. To facilitate real ship trim adjustment, OTA provides water gauge conversion tool to ensure more accurate optimal trim operation. In most cases, reducing ballast water appropriately will reduce fuel consumption. Where asunder some operation condition, increasing ballast water appropriately will reduce hull resistance and is good for navigation. 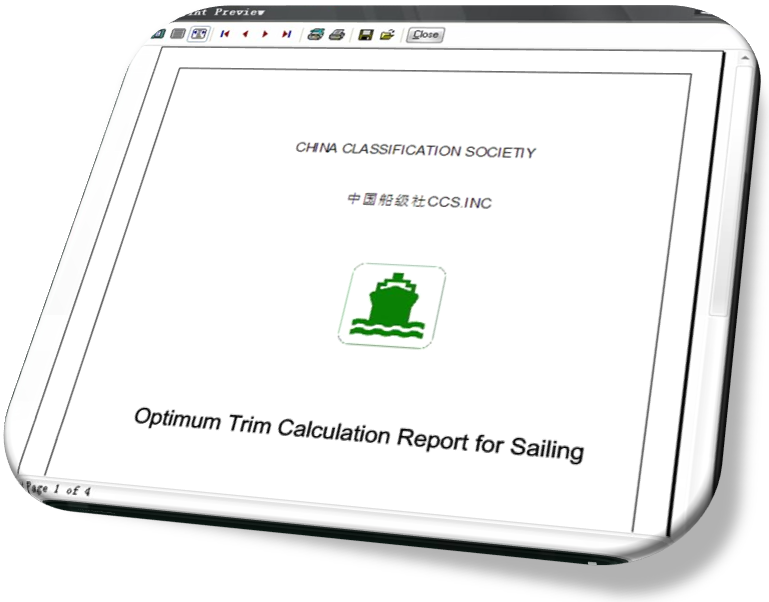 OTA’s ballast water calculation module will give proposals for reasonable ballast water planning by means of optimization calculation. On the basis of optimal trim, further optimization will be made to achieve fine management and produce simple ballast water adjustment solution by taking into account the trim optimization result. OTA also provides Data Exchange Interface, which could be integrated with the existing management systems of the shipping companies for their comprehensive information management. Compared with other similar products, OTA has more detailed functions and calculation report and is more convenient to use.